Transform any pool or body of water into a “liquid gym” with Aqua-X gear for water based high-intensity interval training. Aqua Sphere has teamed up with Olympic medalist Amanda Beard and internationally recognized fitness expert Mark Grevelding to create a cutting edge, high intensity, pool-based cross-training program. 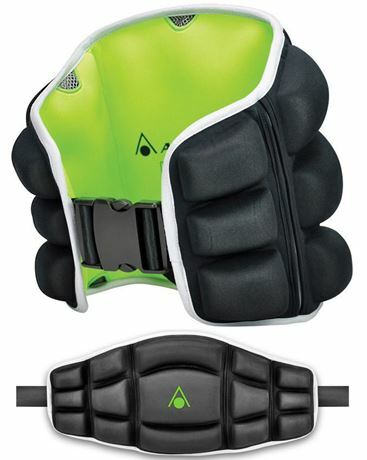 The Aqua-X Power Glove features an advanced glove design that provides increased surface area, foam padding and buoyancy resistance to target upper-body muscle groups. Whether you are a trained athlete or simply looking to have a healthier lifestyle, users will find the Aqua-X gear and Aqua-X training program very beneficial. The program consists of a self-paced, 30 minute routine that alternates between 60-second exercises followed by 60-second periods of active recover, such as water jogging or walking. It can also be adapted to meet the needs of varying fitness levels by adjusting the number and frequency of high-intensity cycles and recovery time.